Polytechnique Montréal is one of Canada’s leading engineering schools and the largest in Québec in terms of its student population and the scope of its research activities, with more than 8,000 students and 1,000 employees. Polytechnique Montréal is seeking applicants for a Professor position in the Department of Computer and Software Engineering. The Department of Computer and Software Engineering is located in the Lassonde buildings and enjoys spacious laboratories equipped with state of the art equipment. The department has 33 Professors, three Faculty Lecturers, 15 support staff, many postdoctoral researchers, professional researchers and research assistants, and more than 1200 undergraduate and 200 graduate students. It offers two undergraduate engineering degrees, in Computer and in Software Engineering, and several graduate degrees. The department leads internationally recognized research, in close collaboration with industry, in seven core areas: software construction and analytics, computer security and reliability, medical image computing, multimedia and digital entertainment, data science and artificial intelligence, and cyberphysical and embedded systems. participate in service functions towards the academic and professional communities and society. New professors are provided with space, technical support and modern IT environments as well as with startup grants to help launch their research activities. The Department of Computer and Software engineering is looking for candidates for a full time, tenure track faculty position in the field of artificial intelligence (AI) and machine learning. Candidates focusing their research towards natural language processing and reinforcement learning are of particular interest; however, candidates focusing on all sub-disciplines of AI are strongly encouraged to apply. 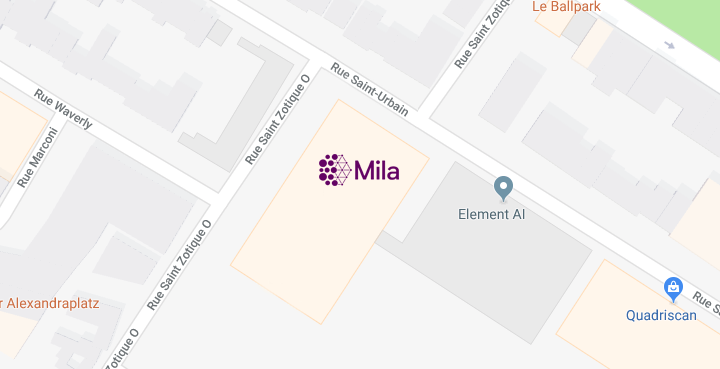 This position also comes with the possibility for a successful candidate to become a member of Mila, the Quebec artificial intelligence institute and the possibility of being considered for a CIFAR research chair in AI. Applicants must hold a PhD in computer engineering, software engineering, biomedical engineering, computer science or a related field. They should hold a bachelor’s degree in engineering. Industrial experience will be considered an asset. Applicants must hold a solid record of research accomplishment showing their potential to develop and lead an independent research program, allowing them to obtain research financing in order to support graduate students. Applicants must demonstrate excellent aptitudes for teaching, preferably attested by teaching evaluations. They will teach undergraduate courses in image processing, digital imaging and artificial intelligence. At the graduate level, they will be expected to create a new course related to their research expertise. Applicants will have to hold the engineering permit issued by the Ordre des ingénieurs du Québec (OIQ) before tenure is obtained. The language of teaching is French; thus, successful candidates will have to demonstrate sufficient knowledge of spoken and written French shortly after the start of employment. This faculty position is tenure-track. Salary and benefits will be set in accordance with the collective agreement (http://bit.ly/2s2k3F8). The collective agreement includes benefits such as work-life balance and offers maternal, paternal and adoption leaves over and above those provided by the Québec Parental Insurance Plan (http://www.rqap.gouv.qc.ca/). Candidates should submit an application package that includes a detailed curriculum vitae, a statement of research and teaching goals, teaching evaluations and the names of three referees. This posting may be extended past February 1st, 2019. Applications will begin as soon as possible and continue until the positions are filled. Polytechnique Montréal applies an employment equity program and encourages women, members of visible and ethnic minorities, Aboriginal peoples and persons with disabilities to apply. Accommodation can be provided to persons with disabilities based on their characteristics.